I've just recently started reading young adult books again after taking some time away from them. I went on a romance, mystery, and paranormal kick for a year or two, but lately I've been reading a lot of YA books. It's amazing to me the number of book bloggers out there, especially the ones who specialize in books directed to a youthful audience. There's just something about young adults. They appeal to people of all ages - I know a lot of people in their 40s, 50s, 60s and older who read YA books on a regular basis. I think that as a writer, knowing that you have a such a wide audience and it's not just 13-19 year-olds reading your books is encouraging. The novel I'm currently working on, when I originally wrote it 7 years ago, it was an adult romance. Now going back and re-working it, I realize it would make much more sense as a young adult book - the characters were in their early twenties, so I've made them a few years younger and changed a few facts about them, and I'm happy with the way things are turning out. My only concern is that it's not a paranormal romance, which seems to be all certain people will read these days. That's when I hope that adults will read it, as well as teens. 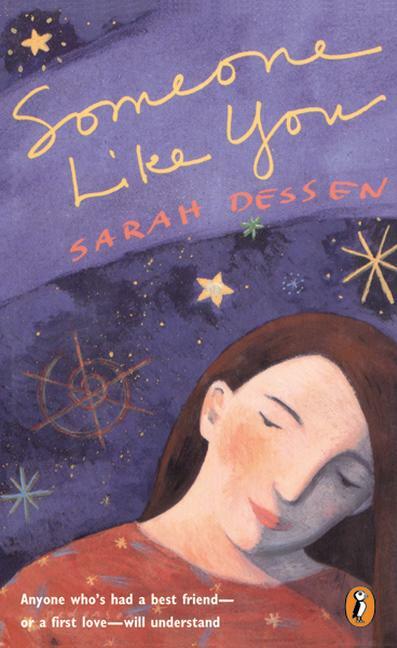 My first favorite YA author was Sarah Dessen. I read her book Someone Like You when I was about 17 and it instantly became my favorite book. I felt like she had written it just for me. There were so many similarities between me and the main character, Halley, it was uncanny. Her relationship with her best friend was my relationship with my best friend. Her relationship with her boyfriend was my relationship with my boyfriend. It's a rare and wonderful feeling when you read a book and connect to it on so many levels. I've only read a couple of Sarah's others books, but have her on my list to read more of her books soon. Other favorite young adult authors - JK Rowling (the Harry Potter series), Stephenie Meyer (the Twilight Saga) and Suzanne Collins (The Hunger Games trilogy). Since I've only started reading YA books again, I'm sure that list will grow in the coming weeks and months. Do you enjoy reading young adult books? Who are some of your favorite YA authors? I'm always looking for great books to add to my list, so feel free to name some of your favorite titles for me to check out! Have a great Friday, everyone! I'm writing this Thursday afternoon to auto-post Friday morning since I'm one of those crazy people who's going to be up at 5am to watch the royal wedding. Enjoy your day, and for those of you who are living in areas where there are crazy storms (I'm amazed the power hasn't gone out here, the wind is insane), stay safe! I enjoy YA books. I like the hunger games it was a great story.